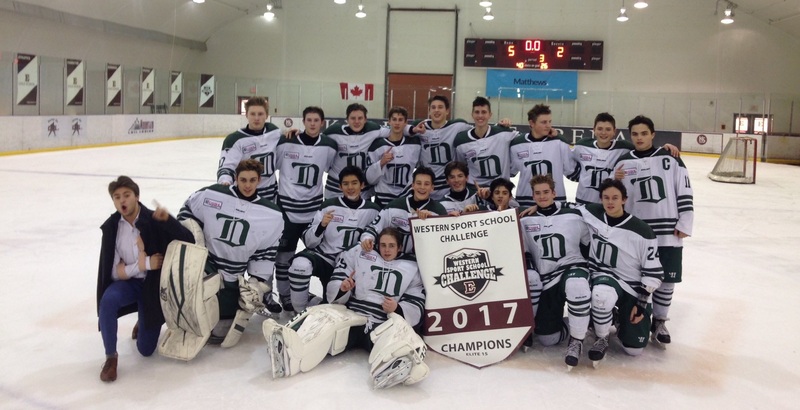 DHA is extremely proud to announce the Elite 15 team as the 2017 Western Sport School Challenge Champions! After a great weekend of hockey in Calgary, the squad defeated the host team, Edge School, 5-2 in Game 6 of Sunday’s final match up. The team went 4-0 in round robin pool play after defeating CNHA Canucks 4-2, OHA Edmonton 6-0, CBHA Blackhawks 6-1, and finally blanking out Prairie Hockey Academy 5-0. In semi-final action DHA clipped the Calgary based Rockyview Raiders 3-1 to move onto Sunday’s final. The top 20 B.C. prospects are in Calgary this week looking for success at the prestigious 2017 WHL Cup. 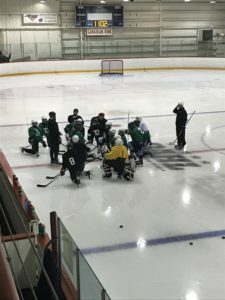 DHA is extremely proud and wishes Dylan Garand, Ryan Watson and Payton Mount luck as they showcase their skills Oct. 17 – 22 in hopes of bringing the Cup back to B.C. DHA is extremely proud to announce that Dylan Garand, Ryan Watson, Payton Mount and Cole Shepard have secured spots on the Male 2017 U16 Team BC roster while Krz Plummer will represent Team Alberta in the highly competitive event. The WHL Cup (formerly known as the Challenge Cup) takes place from October 18 – 22, 2017 at WinSport in Calgary, Alberta. Congratulations to Dylan, Ryan, Payton, Cole and Krz on representing DHA on Teams BC and Alberta! Good luck! Wild Pride! Congratulations to the Midget Prep on an impressive start to the season. The squad is leading the division with 6-1-0 record and 12 points. Tyus Gent has netted 7 goals and 9 assists to lead the division while Payton Mount follows with 6 goals, 7 assists for 13 points. Congratulations to the Elite 15 who are currently undefeated with an impressive start to the season with a 7-0-0 record. John Evans leads the scoring in that division with 21 points, 7 goals and 14 assists while Brandon Santa Juana follows close behind with 9 goals and 11 assists for 20 points. DHA is extremely proud to announce that Cole Dubinsky has signed a Standard Player Agreement with the Regina Pats. 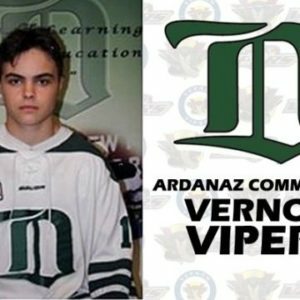 Dubinsky, a 15-year-old forward, was a fourth-round pick in the 2017 bantam draft and had 14 goals and 30 points in 22 games last season.